Transgender people are now being positioned by anti-trans activists as a threat to a core American value: the First Amendment right to free speech. The cultural tide has begun shifting toward acceptance of the transgender community; the effectiveness of outright violence and discrimination, while still prevalent, has lessened with the increased support from the general public. As a result, folks who want to do harm to our community have had to develop new strategies. One of those tactics is to cast transgender people as a threat — as bullies rather than victims. The effectiveness of outright violence and discrimination has lessened—so folks who want to do harm must now figure trans people as a threat. Perhaps the most devastating example of this new strategy is the spate of bathroom bills sweeping state governments, in which trans women have been posed as a potential sexual threat to cisgender women and girls. The insidious orange “Free Speech” bus is another variation of this tactic that’s swiftly gaining momentum. Transgender people are now being positioned by anti-trans activists as a threat to a core American value: the First Amendment right to free speech. Citizen GO is a conservative Christian mirror of sites like Change.org. The organization, which seeks to politically activate primarily young folks and college students on the right, appears to have co-opted their tactics from progressive social justice movements. For example, Citizen GO emphasizes its adherence to “rationality” and “biology” as opposed to “ideological dogmas,” defining itself as a small grassroots collective, and developing its base through social media, petitions, and hashtags. In short, despite being rooted in the promotion of a privileged positionality — namely cisgender heterosexuality — Citizen GO likes to fancy itself the underdog, the oppressed. The campaign plays on the public’s tendency to fear the other, and it has done so by overstating the power and the scope of said other. Citizen GO understands the insistence on rights for trans people as “gender ideology dogma,” a tactic which fails to consider the cultural context in which the White House is actively stripping away our protections (including, yesterday, making a move to do away with a trans-inclusive health-care rule). When trans people are seen not as victims of violence and discrimination, but as violent radical ideologues and bullies who pose a threat to the right to free speech, people who harbor transphobic beliefs feel even more empowered to cling to them. When trans people are seen not as victims of violence and discrimination, people who harbor transphobic beliefs feel even more empowered to cling to them. However, the promotion of the idea that trans people present a threat to free speech exists on the left as well. After coming under fire for her remarks that trans women and cis women should be treated differently because of their childhood socialization, author Chimamanda Ngozi Adichie decried what she refers to as a “language orthodoxy” among liberals. She argued that the left’s insistence on the use of words like “cisgender” and “intersectionality” is not a sign of healthy political evolution, but a tactic for silencing people with dissenting views and closing off debate. Rather than facing up to critique and owning her privilege, Adichie chose the same route as many folks on the right, understanding her speech to have been silenced by the trans community. Likewise, folks on the left continue to argue that even hateful alt-right trolls like Milo Yiannopolous deserve to have a platform. Despite the fact that Yiannopolous has been known to dangerously out trans students, many liberals still insist that protests against him, including the one at UC Berkeley that caused the university to cancel his speaking engagement, have wrongfully denied his right to free speech. Articles on the New York Times, The Atlantic, and The Guardian — all written by left-leaning white cis men — argued that protestors shutting down Yiannopolous’s speaking engagements were just as bad as fascists and that the “right” way to go about dealing with them would be to have a nice, friendly debate with them. Because, hey, this is America and even fascists and neo-Nazis whose literal objective is to silence and kill minorities should have the right to free speech! These arguments rest on a fundamental misunderstanding of the meaning of free speech and stand in contradiction with what the original free speech movement that emanated out from Berkeley in the ‘60s set out to achieve; namely, to make sure that marginalized people were granted the full right to free speech accorded to them by the Constitution. Instead, arguments from both sides aim to uplift the voices of those who hold an incredible amount of power: cisgender people. Politics is rooted in discourse and debate. Because we don’t all agree on everything, we have to have space to argue, to come to decisions, and to push for progress. We have to be able to invent new language to describe our experiences and we have to be able to call out privilege, power, and oppression for what they are. But that doesn’t mean that this is always going to manifest as polite, emotionless conversation. How many people could we expect to behave calmly when their right to full personhood is being called into question? Would you not be driven to anger, to vandalism, to protest in the face of the denial of your literal humanity? Are these not, in fact, viable forms of political action and discourse? If Adichie came under serious fire for her comments, it was not because she was being denied the platform to disseminate her opinion, but rather that enough people disagreed with her transphobic remarks to call attention to the flaws in her argument and, ultimately, to shut it down. If Yiannopolous’s speech at Berkeley was cancelled, that doesn’t mean that he was denied his right to free speech. We all know he had been given a substantial platform, at least up until he crossed the line with that pedophilia remark. Rather, it means that there were enough people at Berkeley who would not tolerate his vitriol that they felt the need to make it near impossible for him to speak at that one particular time and location. If the “Free Speech Bus” was prevented from easy passage across the United States, it was because its message was so cruel and intolerable that allowing it to be disseminated freely in the name of “free speech” was simply not an option. And get this. All of these people continue to have a platform, continue to have plenty of media in which to express themselves. They are not literally being denied their right to free speech. There’s a big difference between that dystopian reality and being strongly dissuaded from continuing to speak by those who are affected by the issues at hand. There’s a big difference between denying free speech and being strongly dissuaded from continuing to speak by those who are affected by the issues at hand. The resistance to these anti-trans campaigns would not have happened if a vast and vocal opposition did not exist. And that community is not limited to transgender people, who, admittedly, make up a tiny percentage of the population. Estimates suggest that there are six transgender Americans for every 994 cis people. If we did not speak up for ourselves boldly, fiercely, and passionately, transphobic vitriol would still be circulating freely just as it has for decades, if not centuries. If we did not have the backing of accomplices, this pushback would not be happening to the extent that it is. Free speech does not mean anything goes. There’s a reason why you can’t yell “Fire!” in a crowded theater when there is no fire, or why hiring an assassin to kill someone does not fall under the purview of free speech. These words can and do enact harm on others. This includes language that suggests that trans women are not women, like those displayed on the side of that orange bus. It may not seem as direct as speaking the words “I want you to kill so and so,” but it might as well be, because this ideology makes trans women (especially those of color), and to a lesser extent other trans and gender non-conforming people, vulnerable to potentially fatal violence. It allows people to continue to hold the transmisogynist idea that trans women are men, who against the patriarchal system that upholds the superiority of masculinity, have chosen femininity, and that their womanhood is an act of deception. And it is these ideas that directly produce disproportionate violence against trans women. The reason why transgender people are being systematically targeted for violence and discrimination while transphobic people are not is a substantial power differential. 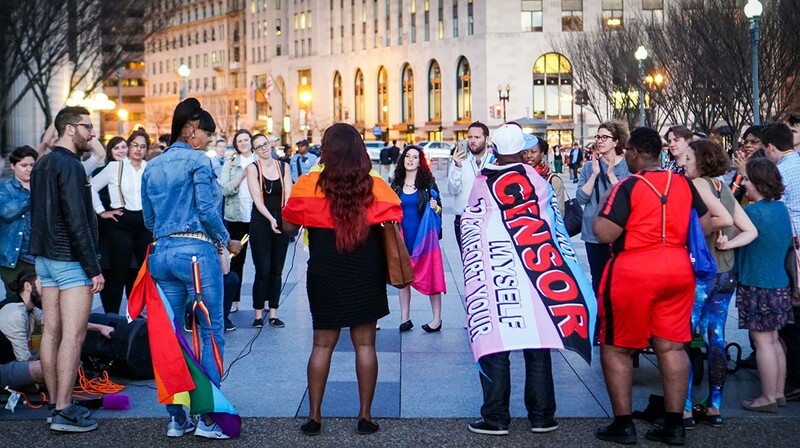 Trans people are already denied the right to free speech, and often, the right to even exist in public space. Transphobic people, however, are permitted to outwardly express transphobic and transmisogynistic views without significant threat to their livelihood because these views are propped up by powerful institutions, including the U.S. government. Deadnaming A Trans Person Is Violence — So Why Does The Media Do It? In reality, what has happened is that trans people have done the seemingly insurmountable work of passionately and persuasively arguing our humanity. We have, after decades of fervent political labor, begun to circulate language that feels more accurate to our experience and that makes space for our oppressors to acknowledge their privileged positionality — and that is threatening to those who have long been in power. But anyone with even a fraction of a heart can see that this is no threat at all. We have actualized ourselves, both materially and linguistically. Our words, our protests are rather an act of opening, of expansion, of world building set to liberate us all from a system that limits our scope and our sense of possibility. 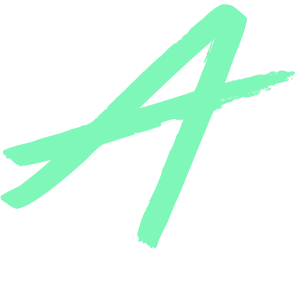 queer, non-binary, femme writer based in brooklyn.